This fall and winter, I decided to give a little extra love to one part of my wardrobe: my shoes! More specifically, my boots! My goal was to create a small, varied collection that felt lively and a little playful, while also prioritizing comfort and practicality. I put a lot of care into the process, and now I’m so proud — they are like a little art collection. Since then, I’ve been getting some questions on the subject: What basic pairs should I start with? How do I decide on colors? What should I buy if I can only get one pair? What’s your favorite boot brand? So today is all about boots! Building a boot collection takes time, but it shouldn’t be complicated. If you’re looking to rebuild your boot collection this year, here’s how I would approach it, in 3 simple steps. 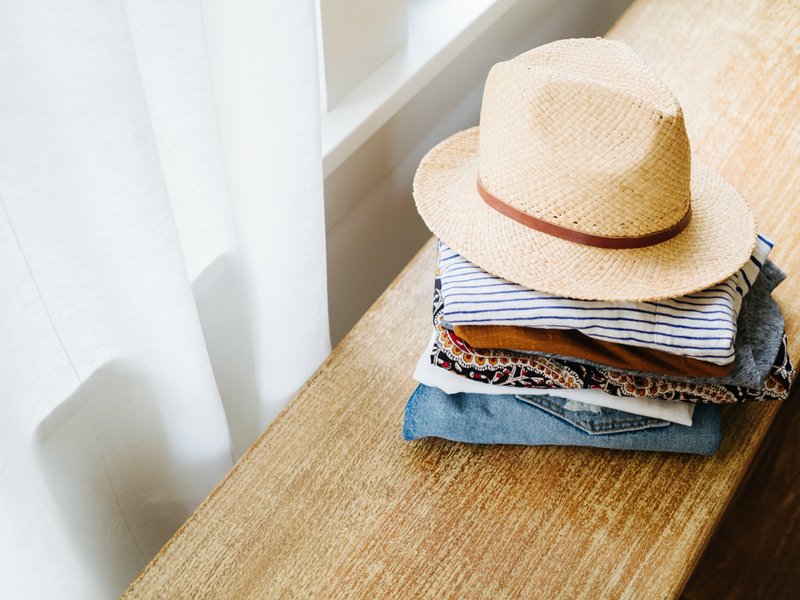 STEP 1 | Start with the basics — and to me, that means one black pair and one brown pair of boots that are versatile enough to wear with just about anything. Plus, a black and brown color palette is easy to integrate into most wardrobe styles. I look for details like a lower heel (comfort first! ), leather-wrapped heel (to add a touch of chic), and minimalist design (to maximize versatility). Tip: If you’re looking to get just one great pair of boots to serve as the foundation of your collection, I’d suggest going with a pair of versatile black booties, like these (pictured below). The pointy-but-not-too-pointy toe and sculptural, leather-wrapped heel dresses this boot up a bit, but at the same time, it’s still a plain black boot — meaning it strikes that perfect balance between dressy and casual. 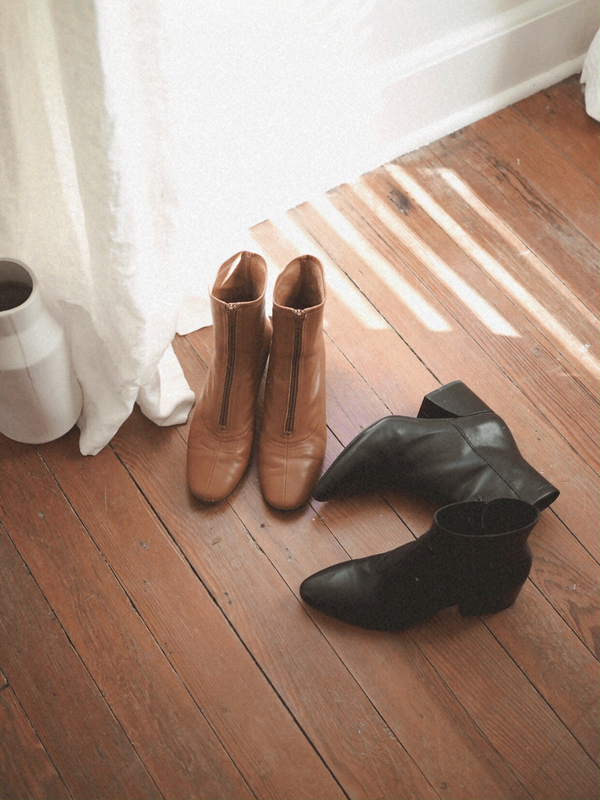 Try it: Pick one black boot and one brown boot below and you’ll have your basics covered. STEP 2 | Next, increase the functionality of your collection with a pair of weather boots. Admittedly, I’m no snow boot expert. I live in Texas where we’re lucky to get one dusting of snow each winter. You may have different needs than me when it comes to weather boots. But you also might be interested to know that, as a gal who only has one pair of weather boots, this pair does it all for me. 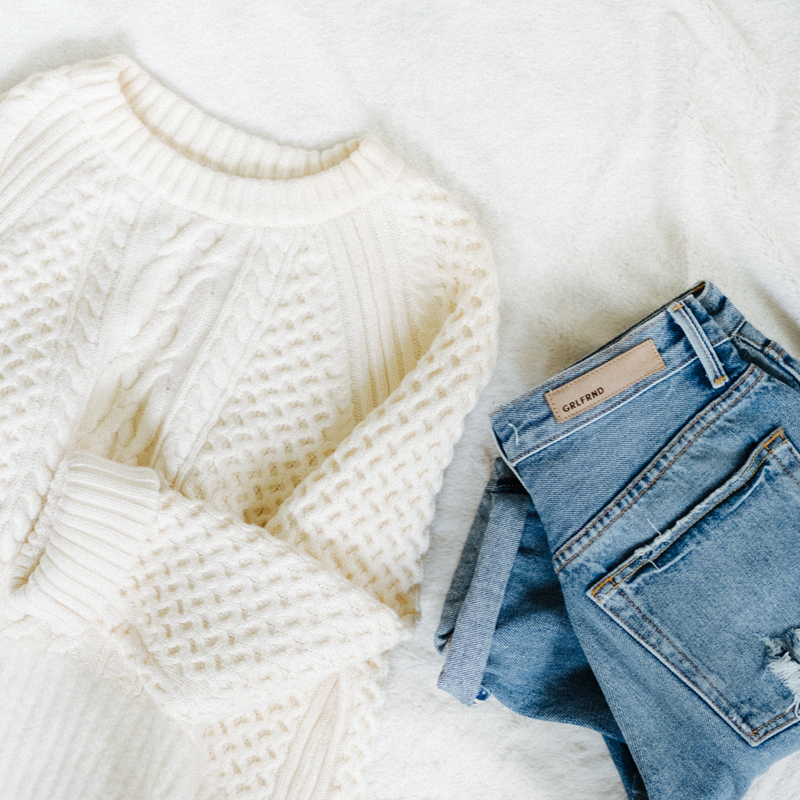 Cute, comfortable, minimal, warm, and dry. Tip: Looking for warm socks? 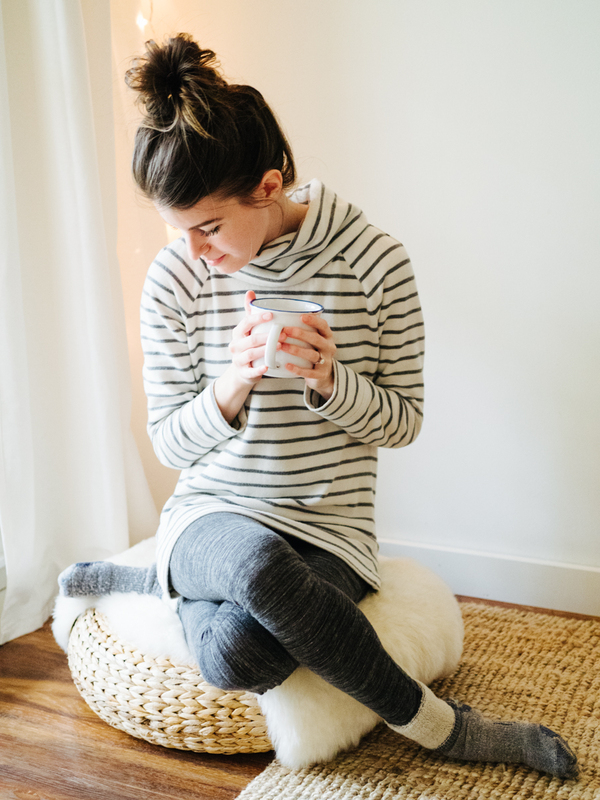 These are my favorite merino wool socks that stay up all day and feel super soft. 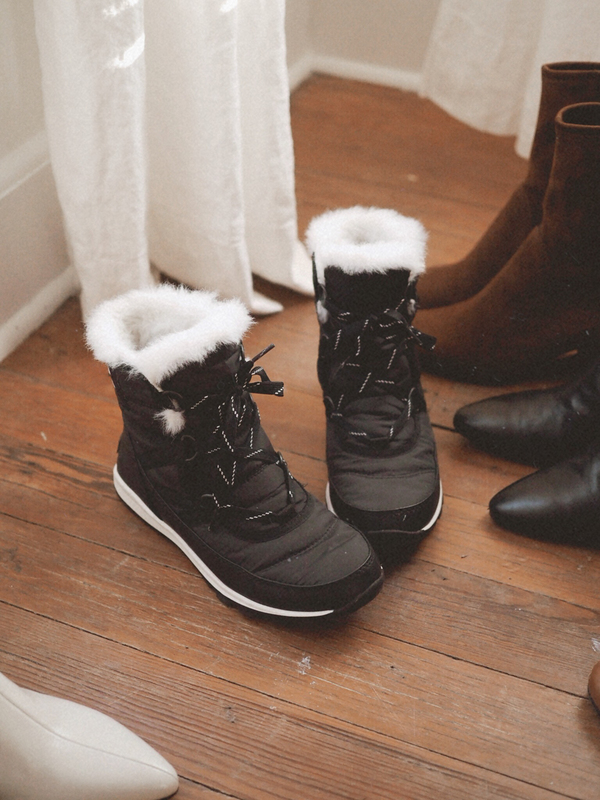 Try it: Pick one weather boot below and then head on to the final step. You’re almost done! 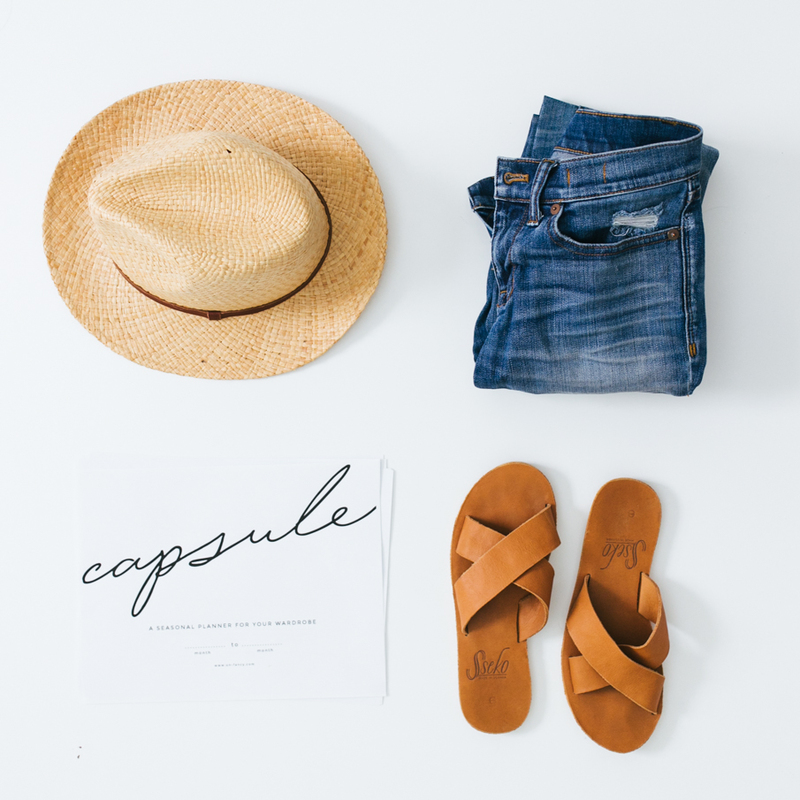 STEP 3 | Finally, round out your collection with one or two fun booties. Bright white, lace-up, and snakeskin booties are my favorite right now when it comes to making a statement. Tip: My favorite brand of shoe right now is Vagabond Shoemakers. They look designer, but they come in around $150; plus they are a sustainable company. I have two pairs (Olivia in black and Mya in white) and am so impressed with the quality and design for the price point. This isn’t a sponsored post or ad, I’m just excited to have found a good shoe company. And there you have it! A practical, versatile, and fun boot collection, made up of four or five boots: 1 black pair, 1 brown pair, 1 weather boot, and then 1 or 2 fun pairs. A good boot collection doesn’t need to be extensive, it just needs to work for your lifestyle and needs. This is a great post, thank you! I live in Seattle, so my biggest concern is how my boots will holds up in our soggy weather. This fall I upgraded my closet by adding these two amazing pairs that accommodate my more relaxed lifestyle and the consistent rain. The winner I found are: re-soul Pearl in brown (https://resoul.com/re-soul-pearl-lace-up-boot-brown.html) and the women’s Blundstone heel boot in black (https://www.blundstone.com/shop/black-leather-pull-on-boots-womens-style-1671). The Pearl is a beautiful leather lace up boot that can do double duty from jeans to dresses. These beauties have been treated to withstand the rain and have a soul to accommodate the slippery conditions. They are also a tad wider in the toe-box to allow for thicker socks :-) The heeled Bluddies are a simple yet timeless and tailored look, and are waterproof as well. A perk with the Blundston’es is that you can swap out to sheepskin insoles to keep your feet toaster in the winter. As for a true winter boot that I look forward to slipping into on ski vacations or deep winter getaways is the aptly named Sorel Joan of Arctic. As for statement boots I have an older pair of AS 98’s that are black and rocker sassy! I second the Sorels! They are essential for truly cold, snowy days. Thanks for this helpful guide! Question, what do you do with your old boots (booties)? Donate/sell/store for future use? I have about 5 booties I can’t seem to part ways with! My best friend just gave me a pair of Doc Martin’s that didn’t fit her properly, and they are my new all-weather boot. I feel SO COOL when I wear them and they are so much more practical than a knee-high rain boot in San Francisco weather. And they all get wear! I live for my leather cognac Petty ankle boots from Sam Edelman (I think the color they call it is saddle?). They’re super comfy and classic and work with everything. The price is reasonable for how long they last, $100, but I can always find replacement pairs in great condition on Poshmark for $30-50. If I could find this exact style of boot from a sustainable company without an outrageous price tag I would be so excited though, and would happily make the switch. Other than that, I own a pair of Bean Boots. They’re cute and I’ve loved mine, but don’t quite cut it in the dead of winter in the mountains of Colorado (it’s too cold!). I’m still searching for a truly cute and functional winter boot for future. That is such a good roundup! 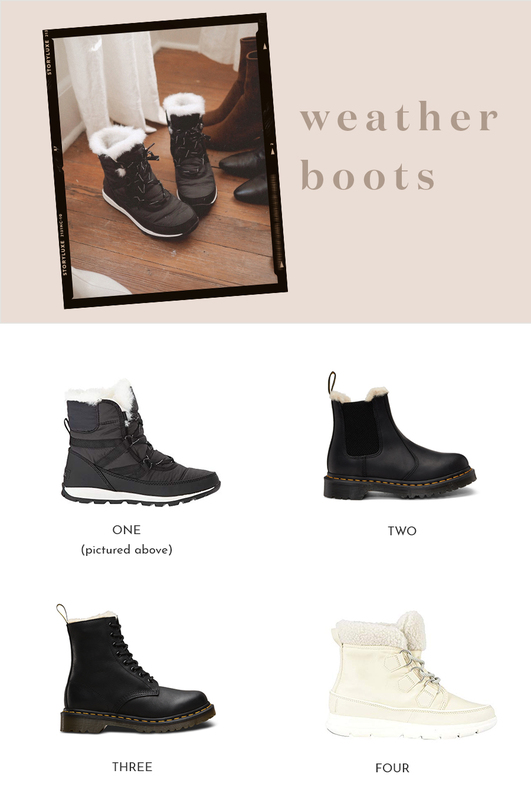 My boot collection currently consists of 5 pairs of black boots (1 dressy, 2 casual lace up, 2 Moto) , 3 brown (2 dressy casual, 1 winter), and 1 pair of snow boots (I like the Sorel brand…we get a lot of snow). I feel like I am at a pretty content place right now, but those snakeskin ones sure look nice! And for fun, I like any boot with a little embellishment! I loved this post. First, as a 4’8” woman I’m thrilled that there were more options this season other than over the knee boots. I have seen several petite bloggers pull off that look perfectly but at 4’8” it really wasn’t an option for me although I love the look. I added a black suede slouchy pair of boots this season that I love but my favorite boots are my black leather Rag and Bone booties I bought during a trip to NYC with my sister a few years ago. 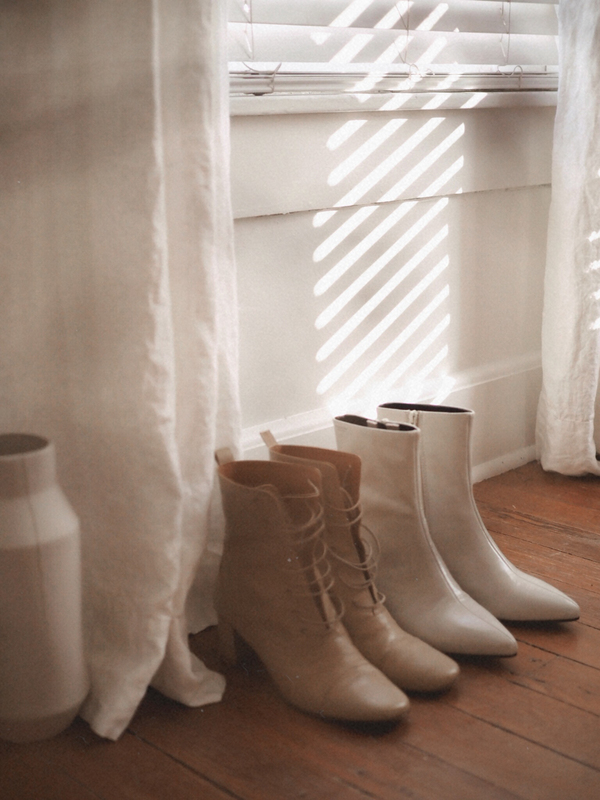 White leather booties are on my wish list but just have been hesitant to pull the trigger. Great post! Love all the boot suggestions. Currently reevaluating my current boot collection/personal style. What are your thoughts on over-the-knee and riding boots? Love all your choices here. Seeing mixed reviews for the vagabond Olivia’s. True to size or slightly snug? Most of my boots are in good shape after a few years of working on them! My go to perfect heel brown leather boots are about to fall apart (they have been well loved and seen many miles) which is a little sad for me so next fall I’ll be looking for the golden boot again. My Go tos are the brown stack heeled ankle boot, and a grey, “flat” bootie that’s waterproof suede (Blondo) and has seen a trounce in mud without being worse off. My fun ones are stiletto burgundy ankle booties with a rose gold zipper accent and a peep toe black bootie. I’m scared to do something like white because they would get dirty in the city, just like my white dog! Living in a city where it rains very often, and that can have winters that range from – 15 to + 15 celsius, calls for different footwear. Most days will call for something waterproof, that also has good soles since the ground often is either icy or slushy. I have one pair of black ankle boots from Ecco, that are my stylish pair that I wear on days with no rain or snow. Then I have one pair of brown boots with no heel, for those days with a little snow and no rain. Then there is the pair of brown tall boots, with really good soles, for those days with lots of snow and no rain. For the days with rain or just lots of slush I have a pair of rubber boots – the only thing that really works (or used to have, but someone recently stole them!). The good thing is that in this city we get a REALLY good selection of rain boots, so you can find nicer ones, at least. But most days I wear my light hiking shoes with gore tex, as I bike to work. At work I walk around in just my socks most of the time, anyway. My current go – to boots are the black day boot from Everlane! They may be the best black bootie I’ve ever owned. 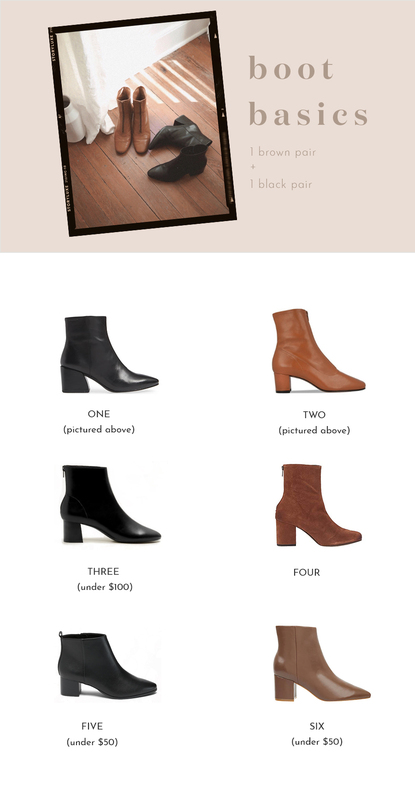 I have a pair of brown boots from Madewell that are just ok (they aren’t holding up well at all after only a few months) so I’m thinking of them as a place holder until I find something better. I’m also considering having 2 pairs of black and 2 pairs of brown boots next fall/winter since I wear them pretty much every day. I think this will add some excitement to my wardrobe and extend the life of my boots a bit. The other thing I’m looking to add to my collection is a pair of rain boots. I’m currently eyeing a pair from Alice and Whittles. As a New Englander, my go-to winter boots are the shearling- lined bean boots, though I don’t get to wear them much now that I live in the NYC area. 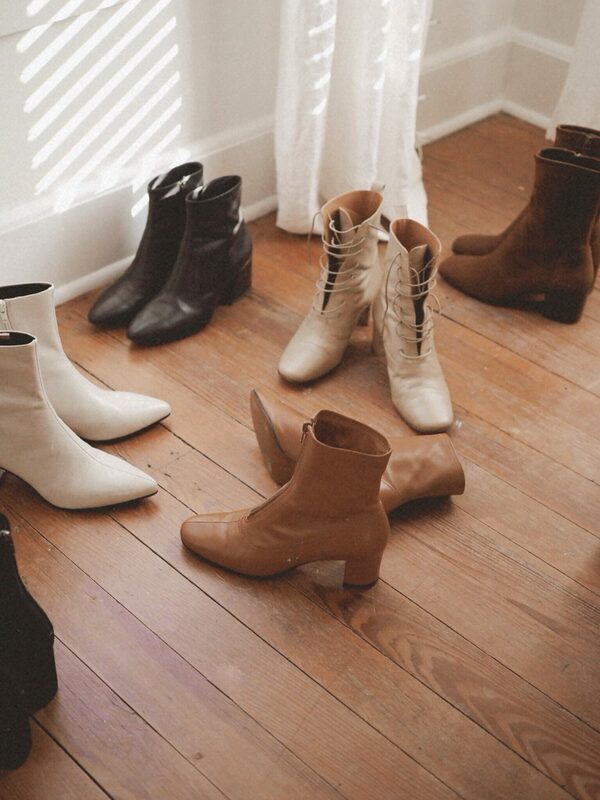 That’s a dreamy looking boot collection. What I call ‘bother boots’ (dm/moto style) in tan, grey and burgundy are my go to all year round. In winter a pair of wellies for dog walks and snow boots for toasty commutes to work suits me. Brooklynite here, so my priorities for boots are comfort and their ability to stand up to weather. I’m also a typical New Yorker in that I love black! I’ve had a pair of tall black riding boots for a few years, which are great with dresses/skirts and leggings, especially. For weather, I have Sam Edelman short black matte rain boots, which don’t look super rain-boot-y, so I can wear them all day even in professional situations, if I need to. This fall I added two pairs, first was a pair of LL Bean classic bean boots for snow, which replaced a Sorel pair that were cute but just not comfy, for me. I also got a pair of Everlane’s Day Boots (black, of course) which have quickly become invaluable in my wardrobe. They are a little delicate, though, so I don’t wear them if there’s even a small chance of snow or rain in the forecast. I think these four cover all my boot-bases! Thanks for the post, Caroline! 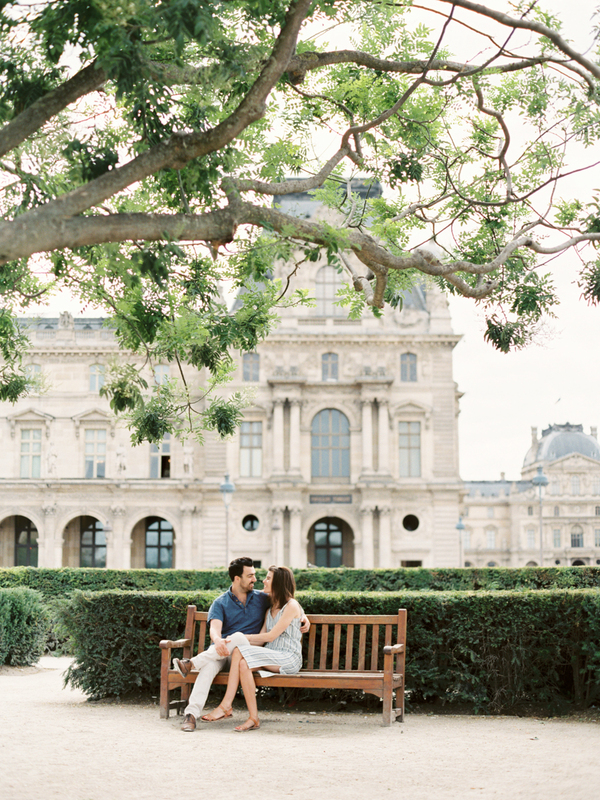 Did you shoot these photos on film? Loving the style. I have added to my boot collection over time by thinking of winter shopping in three categories: boot winters, sweater winters, and coat winters. I alternate restocking each category every three years unless I find a really good bargain or secondhand find. It keeps things under budget and it is fun to look forward to winter shopping this way! This winter I bought a pair of Blundstone boots and I LOVE them! I live in Michigan and swear by two trusty pairs of boots: a pair of Sorel Joan of Arctic snow boots, and a pair of waterproof Cole Haan Chelsea boots. The Chelsea boots are my everyday pair. They go with everything, are super comfortable for long days of walking, and keep my feet warm and dry even when it’s slushy. The Sorels are my go-to for cold snowy days. They’re an investment, for sure, but I’ve had them for 8 years (!) and they’re still going strong. I have tried other snow boots and nothing compares. Great ideas, thanks! I’ve discovered over the years that I’m not really a knee boot kind of gal & I’m not into lace up boots anymore. So my favorites in my boot collection are my (1)Stuart Weitzman Black weatherproof Ankle boots (2) Frye Dark Brown Leather Ankle boots (3) Sam Edelman Black Leather Ankle boots (4) Olive suede Ankle boots. I need to donate & sell everything else! Ha, I read the title and pondered on my boot collection (three pairs) and staples for a few seconds… and came up with the exact same priorities! I have black ankle booties (= my go to, about a year old, wearing these 90% of the time) and brown boots that come up mid-calf (= about six years old but still looking decent, every year there’s a few weeks I get super into them again and can’t stop wearing them). My last pair are black flat ankle boots with lots of metal detailing, more than is my current style… I would like to replace these with flat winter-y boots but not very urgent since we get pretty mild winters and if it does snow I just wear my hiking boots with extra socks. I own only one pair of black ankle boots haha Low heels, because comfort is so important for me too. Here in Brazil it’s warm most of the year, so it’s not really necessary to have a lot of them. Although, I believe if I had a brown pair of boots, they would be very versatile too! Great post! Could you take some photos wearing the boots you own? Would love to see how they look on and how high they come up the ankle, etc. 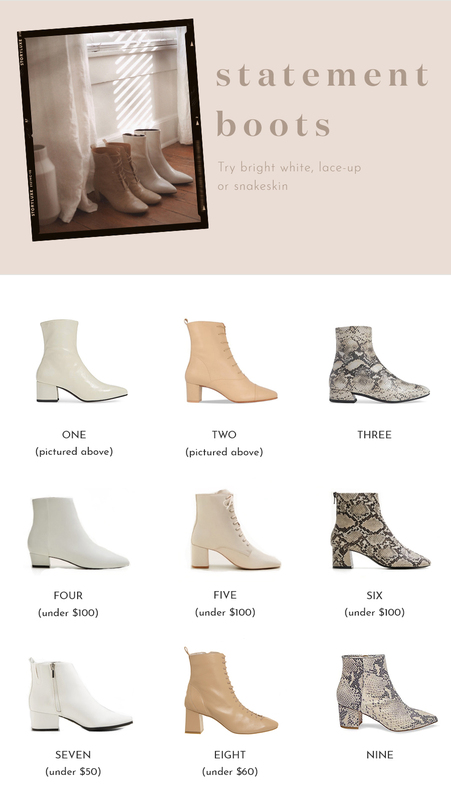 I have 5 pairs of boots/ booties but am looking for a snakeskin pair and a black pair with a 3″ or so heel so excellent timing! Love this! I refer to my boot collection as a fleet. Today I bet on the wrong horse, where Frye ankle boots when I should have on waterproof Sorels thanks to a little snow overnight. Oh well — 4″ headed our way tomorrow so I can try again! For rainy days, I love my Hunter boots and my Burberry trench coat. For cold winter days, it my Stuart Weizmann 50/50 over the knee boots. I would wear boots every day if I could. They’re so cute! Thank you for this! I’ve been trying to focus on quality over quantity even more this year and boots are one thing I need to invest in. Winters are harsh in Central New York, average 120″ of snow each year. Boots wardrobe consists of Taos lace up style, so comfortable, light weight. Clark’s metallic ( look like Sorels) Kombu short black from Costco. Lots of wear! I’m living in Kodiak, Alaska and my bundstone boots are a complete lifesaver. They have a vibram sole which is exceptional for gripping icey and slippery surfaces as well as being a chelsey style boot so it’s utility and pretty at the same time. I also hike in these boots and they are amazingly durable and comfortable. I highly recommend the brand!